However there is now a two-tier fare on all city services, with a higher price applying to all journeys longer than 7.5km, no matter what route they are on. Route 402 from Eyre Square to Merlin Park hospital is 6.2km. From Newcastle to Eyre Square is 4.7km, and to Flannery's hotel is 7.7km. Route 405 from the Knocknacarra (B&Q) terminus to Mervue church is 7.5km. Route 409 from Eyre Square to Dunnes Stores Briarhill is 7.4km, and to Briarhill Business Park is 7.9km. These values were measured by tracing the routes on Google Maps - they are not official distances. It's not yet clear if the city bus ticket machines will have official distances measured between stops meaning that all passengers will have to tell the driver their destination, or if passengers will be responsible for saying which fare they need to pay. School-child stays at €0.77 for all journeys. On average, Leap fares are 30% cheaper than cash fares. More information about using Leap in Galway. 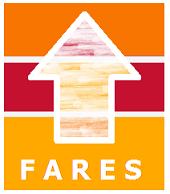 Adult fare increases from €2.20 to €2.30, an increase of 4.5%, for journeys up to 7.5km . Child fare increases from €1.25 to €1.30, an increase of 4% for journeys up to 7.5km . Adult from €4.50 to €4.70, an increase of 4.4%. Child day-tickets are introduced from 1 December 2017, costing €2.60. If these tickets are purchased from the driver using a Leap card then they are valid for 24 hours from the time of purchase. If they are purchased using cash, they are only valid for the calendar day. There is no student one-day ticket - but students are welcome to purchase the adult one-day ticket. The fare-increases document says that day, weekly, monthly and annual ticket prices are for the Red Zone - it does not make a distinction between journeys longer or shorter than 7.5km. Leap cards will be accepted on all regional buses by mid 2018, and Leap fares will be 30% less than the cash fare for the journey. Some fares on regional bus services are changing: the amount depends on the distance travelled, and the type of ticket used. Adult single journeys up to 5km long will all cost the same as a city-zone short fare, ie €2.30 cash or €1.61 with a Leap card. Other adult single tickets be reduced, by up to 15% for longer journeys and by between 3% - 4% for shorter ones. Adult return and day-return fares will increase by an average of 1.7% - but the actual change is between a decrease 7.7% for some tickets, and a 5.9% increase for others. 10 Journey (adult, student or child) tickets - some decreases by up to 5.8%, and some increases by up to 4.6% - with an average increase of 1.1%. The private companies providing city and regional bus services in Galway do not receive any Government subsidy, so their fares are not approved by the National Transport Authority, and have not been announced as yet. However some of them are likely to increase their fares at approximately the same time as Bus Éireann. Intercity express single fares for zone D and longer are reduced by about 5%.